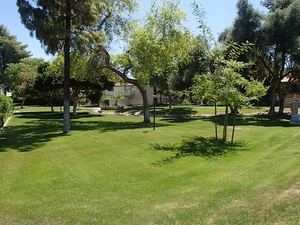 Redwood Landscaping has been at the forefront of outdoor improvement in the Mesa, Chandler, Apache Junction, Queen Creek, Gilbert, Ahwatukee and Tempe Arizona areas for well over ten years. We take great pride in the work that we do knowing how much of a difference it has made to countless home and business owners across Arizona. We offer specialized services in everything from custom landscape design right through to implementation and specialized construction, lawn care and yard maintenance, hardscaping and irrigation.  Whatever your outdoor living needs are, Redwood Landscaping can help. Realtors and landscape architects estimate that the average return on investment from a well-landscaped yard is 258% and that it can increase the resale value of your home by up to 15%. More than just numbers, a professional service can dramatically transform your disused spaces into functional living areas year round and instantly improve the curb side appeal of your home or business. Of course, property value is important to all of us. We recognize that appropriate investment in landscaping and creating beautiful outdoor living spaces adds significant value to any property. But property value is only half of the story. Professionally designed and constructed landscapes are proven to enrich the lives of those who use them. They allow us to engage with the natural environment in the comfort and familiar surrounds of our own home or business. For the home, a beautiful garden or landscape becomes an important feature where families and friends bond, create memories, share laughs and togetherness. They are also a place to where we can escape the demands of the modern world, finding comfort, relaxation and restoration. They can be our oasis, our connection to nature and our playground. For the Business, great landscaping embellishes the principals of pride, order and function. This sends a positive message to our customers, creating first impressions that generate confidence. A well landscaped business also creates outdoor spaces for employees to use during breaks, allowing them to take time out from a computer screen and meeting rooms and find the restorative qualities of gardens, winding paths and the sound of birds. A refreshed employee is a productive employee. 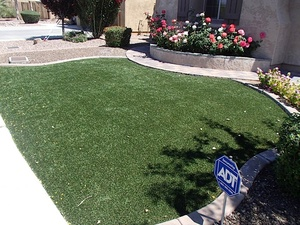 Whether it is your home or your business the benefits of professional landscapes are many. Be it an addition of an outdoor kitchen , a simple garden path or acres of rambling gardens our experts can design, craft and maintain a landscape for you of quality and distinction. Landscape Maintenance: Leaf and debris removal, raking, and lawn winterization. We’ll work with you to realize your dream yard or create a customized design to suit your requirements. Whatever your outdoor living needs, call or contact us today to schedule your complimentary session with one of our landscape architects!